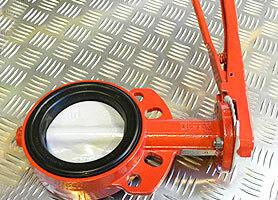 John Bell Pipeline Equipment Co. Ltd offer a wide range of Butterfly Valves from its Aberdeen stocking facility. Supplying such industries as Bulk Fluids and Aggregates within the drilling and offshore service sector. Fire Protection applications within deluge and ringmains and Pulp, Paper, Water Treatment, Sewage, Food and Beverage services. All materials, classes, ratings and body types are avaliable from stock and are compliant with all international standards. As the official distributer of Bray Controls, John Bell Pipeline Equipment Co. Ltd stock the complete range of products. The modular construction of each component makes the fitment of Actuators and Controls simple, each package is extremely compact. The full range of Pneumatic (Double Acting & Spring Return) and Electric Actuators all maintain this feature and thus eliminate the need for mounting kits between each component.